Valued as a reliable manufacturer and supplier, we are engaged in offering the best quality of Herbal Hair Oil which is formulated using natural ingredients and herbs. Amla retards aging process and prevents hair loss. Moreover, jatamansi prevents brittle hair and split ends. 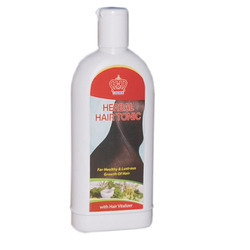 Processed by using high quality jasmine extract, the offered tonic promotes hair growth and reduces hair loss. In addition to this, The offered tonic is packed with standardized packaging before dispatched at the customers’ end. 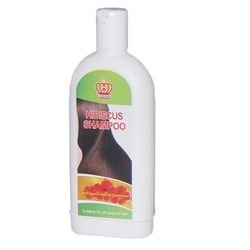 We are counted as one of the leading manufacturers and suppliers of the finest quality of Hibiscus Shampoo that we are offering to our prestigious clients is an all natural solution for various hair related problems. The offered shampoo prevents hair loss. In additions to this, the offered shampoo effectively promotes hair growth. Moreover, to ensure high standards of quality, the offered shampoo is processed by using herbal ingredients. 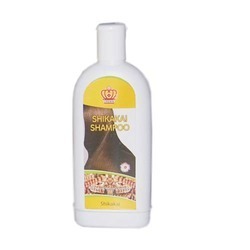 As a leader of this domain, we are engaged in processing the best quality of Shikakai Shampoo. This is enriched with the goodness of amla and shikakai, in which both amla and shikakai adds natural shine and glow to the hair. We prepare this shampoo with the extracts of natural amla and shikakai to solve problem of hair like hair falling and dandruff problem. Moreover, rendered by us at cost effective prices, the quality of the offered shampoo is maintained as per the industry laid norms. Keeping the track of the latest happening in this domain, we manufacture and supply the best quality of Amla Hair Oil. Amla hair oil has a long tradition in being used for improving the health of hair and scalp. A time tested product, our amla hair oils replenishes natural hair glands and brings back the natural health of the hair. Moreover, by using natural extract of amla and latest processing machinery, our professionals process the offered amla oil as per the industry laid norms. In addition to this, the offered amla oil nourishes the hair and growths effective hair growth. Looking for Herbal Hair Cosmetics ?